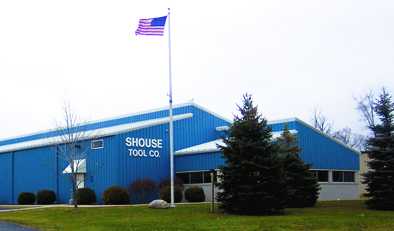 Shouse Tool Company is a family owned and operated company that has been in business since 1967. Our engineering and manufacturing facility is located in Fenton, MI. For three decades we've been a world class fabricator of Cubic Boron Nitride (CBN) and Polycrystaline Diamond (PCD) inserts, Shouse Tool Company offers a variety of metalworking tool systems to leading manufacturers everywhere. Shouse Tool specializes in hard turning tooling system designs. CBN and PCD tooling can be applied in a wide variety of applications such as interrupted cutting and low surface finish (requirements as low as 5Ra, depending on material and hardness.) A range of CBN and PCD grades are available to meet any requirement.